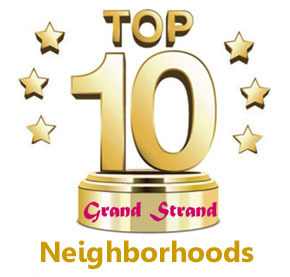 North Myrtle Beach has a community with some of the most outstanding homes, townhomes, duplexes, condos, and retail shops imaginable. 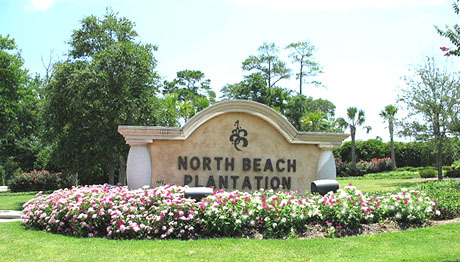 Meet the fantastic neighborhood called North Beach Plantation! Much of North Beach is complete - two fabulous oceanfront towers of luxury condos and a waterpark is complete and on the way to being sold out. Plans include three gorgeously landscaped single family home neighborhoods, of which two are complete. The first two are called "cottages" and are small, colorful, and cute as can be...with flowers abloom and palms waving gayly in the wind. A third home community is nearly complete, with luxury homes called Whitepoint. Plans also include some two-bedroom villas, duplexes, and small hotel rooms for short term rentals. Presently North Beach has an office building with a fitness center, fine dining restaurant, and offices. More are planned, including some retail stores and other restaurants. This is a newer community that continues to grow. 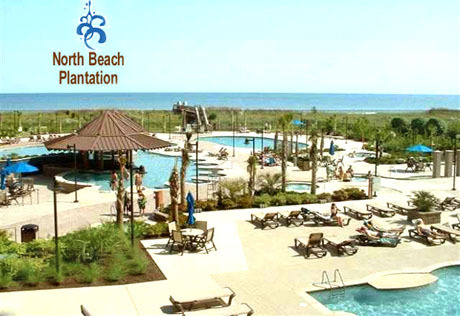 For the most up to date information about North Beach Plantation visit our North Myrtle Beach website. In the meantime, you can find the homes and cottages for sale below, as well as the available condos on our North Beach Towers page. Give us a call and we'll be happy to take you on a tour of this fantastic North Myrtle Beach luxury vacation community!